Thank you to everyone for your kind comments and for entering my giveaway! 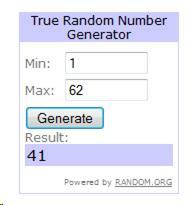 Lindsey you are the winner of the $25 gift certificate to Bento USA by AllThingsForSale.com. I will contact you by email. This entry was posted in Bento / Cute Food, Blog and tagged bento, giveaway. Bookmark the permalink.